1st Grade Security offers a wide range of intruder alarm systems. So, whether it’s a hard-wired or wire-free system, we’re sure to have a system to meet your needs. Don't want to be tied down to a monitoring contract? Why not have your intruder alarm send you a text or call you direct with a pre-recorded message, should the alarm activate. 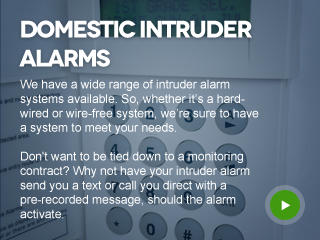 We can install a high security intruder alarm system at your home with a minimum of hassle. CCTV systems are very effective at both preventing and capturing crime. We can provide a system to suit your specific requirements. 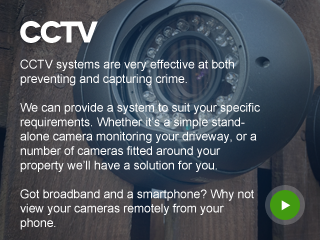 Whether it’s a simple stand-alone camera monitoring your driveway, or a number of cameras fitted around your property we’ll have a solution for you. Got broadband and a smartphone? Why not view your cameras remotely from your phone. Audio entry, Video entry, Coded entry and Keyfob entry to name but a few. Whether it’s just a simple repair, or a full installation you require, we’ll be happy to help. When it comes to security and alarm systems, many of our clients would agree - we're among Edinburgh's best. 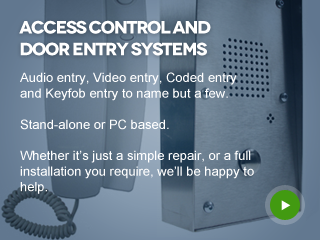 To learn more about our security products, get in touch today. If you have any questions or enquiries about the services that we provide, please feel to get in contact with us to discuss your needs further.